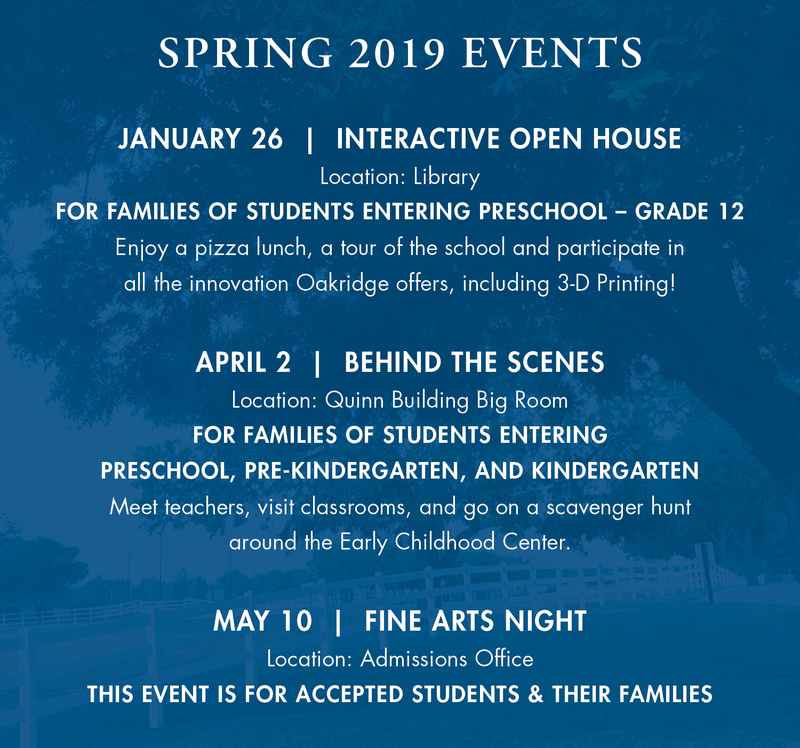 Learn what it's like to be a student at The Oakridge School by visiting us for a campus experience this spring. It is here that families can meet students, participate in a class, talk to faculty and staff, and more. Check out the list of available dates below. Visit www.theoakridgeschool.org/campusvisit or call 817-451-4994 for more information.